Once again, the Manual of Official Procedure of the Government of Canada has proven indispensible as an historical resource! The Appendices contains the “Order in Council cancelling Appointments made on Macdonald’s Resignation (1873)”. I have uploaded this excerpt as a separate PDF in the Canadian documents section. The Manual of Official Procedure of the Government of Canada of 1968 and the Guidelines on the Conduct of Ministers, Secretaries of State, Exempt Staff and Public Servants During An Election of 2008 discussthe Principle of Restraint (sometimes called the “caretaker convention”): how the government ought to restrain itself during the writ period and, if necessary, until the appointment of the new government. This principle recognizes that the government restrains itself to making decisions only on necessary and urgent matters during an election and during the short period after the election until the next government takes office. This convention on the restraint of government business exists because when parliament is not in session, the people’s representatives cannot hold the government to account on its expenditures. The Manual puts the onus on the government to restrain itself, recognizing that parliament cannot do so, but acknowledges that some former Canadian prime ministers exercised less restraint than others. 1. […] The extent of these restraints varies according to the situation and to the disposition of the Government to recognize them. 2. The possibility of restraint only arises if the continuation of confidence in the Government is called into question. A defeat in the House preceding dissolution or a defeat at the polls would be the usual causes of restraint. 3. The restraint has been recognized as applying to important policy decisions and appointments of permanence and importance. Urgent and routine matters necessary for the conduct of government are not affected. [D]uring an election, a government should restrict itself – in matters of policy, expenditure and appointments – to activity that is: a) routine, or b) non-controversial, or c) urgent and in the public interest, or d) reversible by a new government without undue cost or disruption, or e) agreed to by the Opposition (in those cases where consultation is appropriate). The principle of restraint exists in the absence of any formalized, legal limitations on the government’s power during the writ period. When Parliament is not in session, the House of Commons cannot fulfill its core function of holding the government to account for its expenditures, so the government constrains itself by a self-imposed convention. The government limits itself to the routine and the necessary in order to adhere as closely as possible to the principle of responsible government. 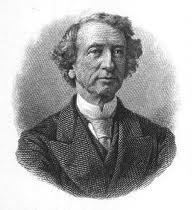 In order to postpone an inevitable vote of non-confidence in his Ministry over the Pacific Scandal, Prime Minister John A. Macdonald advised Governor General Lord Dufferin to prorogue the 1st session of the 2nd Parliament for August 13th, 1873. Unlike the 40th Parliament in January 2009, the 2nd Parliament carried out the full extent of its authority; when the intersession ended on October 23rd, 1873, the opposition Liberals as well as some backbench Conservatives voted to censure Macdonald. 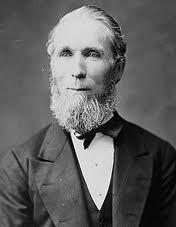 He resigned on behalf of his Ministry, and the Leader of Her Majesty’s Loyal Opposition Alexander Mackenzie became The Dominion of Canada’s second Prime Minister on November 7th, 1873. Prime Minister Mackenzie then advised Lord Dufferin to prorogue the same day, and he advised that the 2nd Parliament be dissolved on December 1st, 1873. His Liberals handily won the next election. According to English precedent – by which the opinion of the Governor General would naturally be guided – an outgoing Administration has a right to “fill up vacancies”, even after they have tendered their resignation to the Crown. […] But it is equally evident that the exercise of this right of filling vacancies should be used with moderation and discretion and within the limits described. 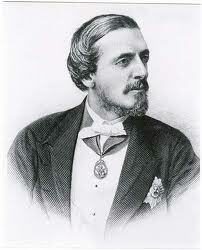 Lord Dufferin well understood that under responsible government, the Prime Minister should exercise restraint in the advice that he tenders to the Governor General; however, the Governor General must still act in accordance with that advice, and the Prime Minister must take responsibility before the House of Commons and before the electorate for having issued bad or unscrupulous instructions. The Governor General should therefore intervene and exercise the “reserve powers” only under the most exceptional circumstances – when responsible government otherwise threatens to collapse – because the Office of the Governor General must remain neutral and transcend partisan politics. If he so intervenes too eagerly, he may unwittingly become the cause of constitutional collapse rather than the guarantor of constitutional stability. Canada. Privy Council Office, Manual of Official Procedure of the Government of Canada, Henry F. Davis and André Millar. (Ottawa, Government of Canada, 1968): 89. Canada. Privy Council Office, Guidelines on the Conduct of Ministers, Secretaries of State, Exempt Staff and Public Servants During An Election. (Ottawa: Her Majesty the Queen in Right of Canada, 2008): 1. Nicholas A. MacDonald and James W.J. Bowden, “No Discretion: On Prorogation and the Governor General,” Canadian Parliamentary Review 34, no 1 (2011): 7-16. This entry was posted in Caretaker Convention, Crown (Powers and Office), Governor's Discretion, Officialization of Convention, Responsible Government and tagged Alexander Mackenzie, and Public Servants During An Election, Exempt Staff, Guidelines on the Conduct of Ministers, John A. Macdonald, Lord Dufferin, Manual of Official Procedure of the Government of Canada, Secretaries of State. Bookmark the permalink.